Success Plus is Alabama’s program for improving the statewide level of education beyond high school. Whether it’s a degree earned in a four-year or community college, a professional certification or a credential, this additional preparation creates improved opportunities for Alabamians to better their lives by participating in the workforce and assures that Alabama businesses can continue to grow with the skilled workforce they need. Download Success Plus reports below. Contact us with any other questions or inquiries. Since taking office, I have made education, workforce preparedness and economic development a priority of my administration. Today’s world is changing rapidly, and we must change with it. Our economy is stronger than it has been in years. Our unemployment rate is at record lows. Yet, we must not rest on our laurels. We must continue to provide training opportunities to not only be successful in the jobs of today, but to prepare our state and its citizens to thrive in jobs of tomorrow. To help our people achieve the education needed for present and future workplace success, we have created the AlabamaWorks! Success+ initiative. With the input of industry and our strong workforce, we will build a path forward to connect a high-skill workforce – those with post-high school certifications – with the opportunities of business and industry. We have a thriving economy, but we must keep moving forward. With everyone’s effort and cooperation, Success+ will be a national model for connecting our workforce with new opportunities. Together, we will continue to move our state ahead for ourselves, our families and each other. Alabama’s economy is changing, and it’s changing for the better. Many companies are either expanding here or relocating here. It says a lot about our state and our people. Along with Alabama’s economic growth, there is increasing demand for members of the workforce with education, skills, and training in addition to a high school diploma. A Step Further With AlabamaWorks! The Alabama Workforce Council, a group of business and industry employers partnering with by state education and workforce leaders, knew they had to take a step further with AlabamaWorks! and define exactly how many people the state would need to have a high school plus credential in order to fill the jobs that are currently open and those that we expect to be open. 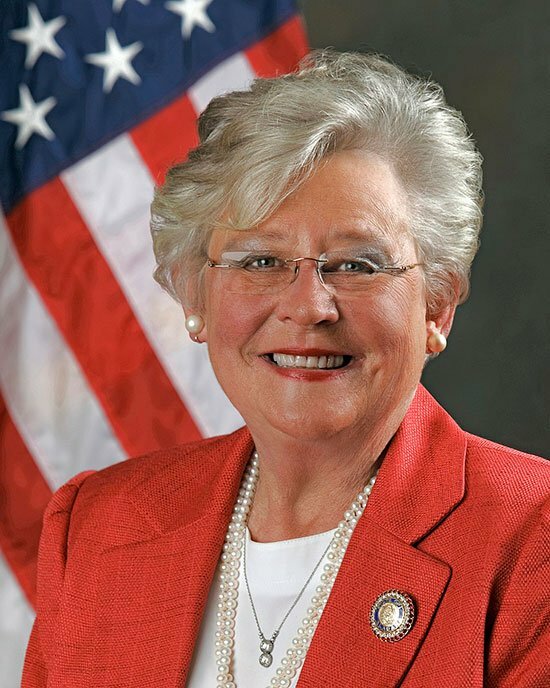 Governor Kay Ivey the Council to create a special Statewide Educational Attainment Committee comprised of industry, government and policy experts. They were tasked with setting priorities and measuring economic progress for our state. Community focus groups, analytics and surveys helped a special committee develop a strategy to address Alabama’s skills gap, named AlabamaWorks! Success Plus, which Governor Ivey formally launched at a press conference earlier this year. The goal is to have an additional 500,000 Alabamians prepared for careers for the future by obtaining credentials, certificates or degrees in additional to a high school diploma by 2025. The plan is currently being implemented at all levels, including locally within the seven regional AlabamaWorks! workforce councils. “Educational attainment” generally refers to the highest level of school or education an individual has completed. Post-secondary educational attainment is the level of education a person has completed, including any credentials, certificates, or degrees (associate, undergraduate, graduate, and post-graduate) beyond a high-school diploma. Move up the socioeconomic ladder. What is Alabama doing to meet its attainment needs? Developing a statewide attainment goal and a plan to achieve it is one part of the Governor’s “Strong Start, Strong Finish” education initiative, which takes a comprehensive and collaborative approach to improving education from Pre-K into the workforce. Alabama is establishing a statewide attainment goal aimed at ensuring Alabamians hold the certificates, credentials, and degrees of value to meet projected workforce needs by 2025. The AWC – an appointed council of industry leaders from across the state – was tasked by the Governor to work with education, industry, and policy partners to better understand Alabama’s workforce needs and develop a strategic plan to increase attainment in Alabama. The AWC must submit a strategic plan to Gov. Kay Ivey by April 30, 2018. What is the Educational Attainment Committee’s recommended goal? The Educational Attainment Committee recommends its state and community partners embrace the goal of adding half-a-million high-skilled employees to Alabama’s workforce by 2025. According to Educational Attainment Committee research, this goal will meet projected needs of Alabama industry, while providing a competitive, high-skilled workforce to support additional growth and compete for new businesses. We believe this goal challenges our workforce partners in Alabama to make significant, yet realistic, increases in attainment outcomes the coming years. What considerations are the Educational Attainment Committee weighing in determining their goal recommendation? Aspirational – Does the recommended goal push the AWC and its partners to achieve substantially greater results than they would otherwise? Competitive – Will the recommended goal position Alabama as a national leader among skilled workforces? Achievable – Can the goal be met through the coordination of workforce partners, development of new strategies, and direction of identified resources? How many new high-skilled workers does Alabama need to meet workforce needs by 2025? Alabama needs to add more than 350,000 additional high-skilled workers to its workforce by 2025 to meet projected industry needs. Of these, more than 180,000 are projected to be the result of new job opportunities, while the remaining 170,000 are needed to fill current jobs expected to be vacated as retirees leave the workforce. How has the Educational Attainment Committee determined workforce needs to inform its strategies? Working with data experts from the state agencies represented on the Attainment Committee, StrategyWise (with advice from Georgetown University) has mapped Alabama’s educational attainment level and future workforce needs through 2025. The resulting data dashboard has allowed the Attainment Committee to better understand Alabama’s workforce needs and the unique challenges in each region. The Attainment Committee hopes to share the data dashboard publicly as part of its effort to help its partners better identify opportunities to focus and develop workforce strategies. Why does the data dashboard and attainment goal focus specifically on the 25-64 age population (why are recent high school graduates not included)? The different data sets used to create the Success+ Educational Attainment Dashboard provide various levels of ability to focus on specific age groups. To focus on the broadest age population representative of workforce active in a career, StrategyWise focused specifically on the 25-64 age range. This approach is consistent with that taken by the Lumina Foundation, Georgetown University, and others on a national level that are focused on tracking and improving educational attainment. While we understand there are active participants of Alabama’s workforce on both ends of the 25-64 age range, populations on each side become less representative of Alabama’s career-track workforce as they move away from the 25-64 center. For those over 65, we see a movement away from workforce participation as the population retires. For those younger than 25, we see a stark increase in the population’s attainment as the group moves through high school and postsecondary education. Why do the Educational Attainment Committee’s current and projected need percentages differ from those originally provided by the Lumina Foundation? Projected Need – Lumina used a 2010 Georgetown study to define this number. That study included the “Some College No Degree” attainment population – which makes up about 17% of the workforce – along with post-secondary degrees to define its Projected Need population. Current Attainment – Lumina used only the “High-quality Certificate” sub-population of “Some College No Degree” along with post-secondary degrees to define its projected Current Attainment population. Because the “High-quality Certificate” sub-population makes up about 30% of the total “Some College No Degree” attainment population, Lumina’s Projected Need is 12% higher than it would be using the smaller “High-quality Certificate” sub-population. Additional minor differences between calculations exist due to changes in Alabama’s workforce since the Lumina Foundation (2015) and Georgetown (2010) studies were compiled. Why has the Educational Attainment Committee moved away from focusing on a “%” goal like other states? Educational attainment is a pathway to improving the lives of Alabamians. We want our workforce and education partners to focus their efforts on the vast number of individuals we hope to impact through positive career outcomes, rather than pursue an impersonal goal based on a percentage of a labor statistic. While Alabama’s goal of adding half-a-million high-skilled employees is supported by an underlying percentage goal, the Educational Attainment committee believes that focusing on a specific number of individuals earning certificates, credentials, and degrees challenges our workforce partners in Alabama to make significant, realistic, and measurable increases in attainment outcomes in the coming years. What is Alabama’s underlying percentage goal? Alabama’s educational attainment goal of adding half-a-million high-skilled employees is consistent with Lumina’s national goal and would result in 60% of the state’s employed working-age population (25-64) having some form of post-secondary attainment by 2025.
Who is represented on the AWC’s Educational Attainment Committee? The AWC has established a committee of 17* industry, government, and policy experts (with input from their teams) to develop a public roadmap to help state leaders set priorities for state agencies and measure progress toward decreasing the attainment skills gap. The committee has met eight times in the seven months since it was formed in August of 2017. Note: Previous Alabama Workforce Council representative and committee member Walter Howlett passed away in December. Has the Educational Attainment Committee solicited input from local partners? Yes. We realize that working to improve educational attainment in our state will require the work of many partners, so the Attainment Committee worked with the state’s seven Regional Workforce Councils to host 11 community engagement sessions across the state during November and December 2017. These sessions gathered feedback from nearly 300 individuals representing business, industry, employers, educators, and other community partners. Their insight provides first-hand perspectives on the current attainment status in communities with varied needs. We are grateful so many partners were willing to share their knowledge and input through these sessions and provide qualitative public input into the successes, needs, and gaps of Alabama’s education and workforce efforts. Has the Educational Attainment Committee solicited input from the public? Yes. The Educational Attainment Committee also realized it needed to hear from individual Alabama residents on this important issue and developed an online survey to collect thoughts on education beyond high school. The survey was designed to capture individual residents’ perspectives and opinions related to post-secondary educational attainment both broadly and personally, as well as their perspective on their child/children’s educational attainment (if a parent). The survey also aimed to increase awareness of the Alabama Works website, the regional Career Centers, and the High School Career Coaches. Partnering with the Alabama Community College System, Department of Labor, and the Alabama Department of Education, we have received feedback from nearly 1,500 survey respondents. Findings will be used to inform strategies to increase educational attainment as part of the statewide strategic plan. Who else has been involved in the process? Project Management – Clarus Consulting is headquartered in Birmingham, AL, and serves clients across the nation. Clarus’ services focus on strategic planning and implementation, leadership development, and stakeholder interactions. Branding – Direct Communication is headquartered in Birmingham, AL, and does consulting and public relations work for clients statewide, including businesses, associations, nonprofits, and governmental agencies. IDEAS is a brand and experience design company based in Orlando, FL, and its clients traditionally come from the healthcare, government, enterprise, and entertainment industries worldwide. Both have been involved in previous AWC marketing and branding efforts. Data – StrategyWise is a data analytics firm based in Birmingham that works with Fortune 500 companies to understand how data can improve their decision-making. In developing Alabama’s Data dashboard, StrategyWise consulted with Georgetown University, Lumina Foundation advisors, and others on a state and national level that are focused on tracking and improving educational attainment. Attainment earned through a degree from an accredited educational institution is relatively clearly defined – the recognition of completion of defined studies toward an employable skill. Credentials and certificates, however, can be more ambiguous with regard to the value they provide members of the workforce and the economy in which they are employed. There are a number of professional groups, industries, vendors, and government agencies already bestowing credentials for skills-based training in Alabama. However, those organizations often act independently of one another in their determination of what credentials to provide and how those credentials align with need in Alabama. The AWC is an industry-lead organization that is tasked by the Governor and Legislature with advising, supporting, and promoting the state’s workforce efforts. As representative industry leaders, members of the AWC and Regional Workforce Councils are positioned to provide unique insight into emerging economic trends in Alabama and future workforce needs. We believe that the AWC and its Regional Workforce Council partners should develop a strategy to periodically review industry needs and provide input into their various credentialing partners. When we say “value,” who or what are we creating value for? Individuals – Do these skills create better career opportunities for Alabamians to obtain and retain employment? Existing business and industry – Do these skills meet an industry demand? State economy – Do these skills create opportunities for business growth and recruitment to our state? What characteristics are we weighing in valuing a credential? Based on our review of best practices from various states and national organizations, the following characteristics stood out as essential to creating better opportunities for Alabama employees and employers. Valuable – Lead to increased wages at least 20% higher than those earned by an individual with a high school diploma alone; provides for career advancement, and increased job security. Portable – Transferable to multiple employers and provide broad workforce opportunities; recognized as skills necessary to be successful in the state’s economy. Stackable – Provide a base for additional, continuous, or advanced training and/or education that can expand expertise and create additional wage value. Trackable – Can be quantifiably tracked by the state to ensure that awarded certificates align with industry needs and provide continued value to the bearer. Skills Based – Awarded by professional groups, industry, vendors, and government agencies to individuals demonstrating measurable technical or occupational skills. In Demand – Responds to a demonstrated need by employers in Alabama to meet current and future workforce needs of the state’s evolving economy. Why is the Educational Attainment Committee developing a brand for its strategic recommendations? The Educational Attainment Committee is developing an attainment goal brand to accessibly convey the goal of an educational attainment effort to members of Alabama’s workforce. In doing so, the branding effort hopes to help the public better understand what attainment means for them by conveying the impact that attaining valued credentials and degrees can have on Alabama workers, their families, and the state. What are the considerations used to develop the educational attainment brand? This effort will be marketed as a component of the AlabamaWorks brand. The recommendation is to create a first-tier sub brand based on the AlabamaWorks brand charter and standards. The new brand must reflect the AlabamaWorks charter while creating the offer of distinctive added value and a call to action. It should distinguish what Alabama is doing from other similar efforts across the country. This recommendation has been made from a target audience perspective. What is the recommended educational attainment brand and why was it recommended? Success+ is simple and easily understood, pointing toward a better personal future that is always improving and evolving. The upward arrow is optimistic, and both challenges and encourages people to ascend. This brand has high utility and can be used flexibly as an endorsed AlabamaWorks brand and as a stand-alone. Over the past year, Birmingham’s Bold Goals Workforce Coalition has worked to develop a report for developing and implementing a regional talent strategy for Birmingham by providing a forward-looking, multidimensional analysis of the Greater Birmingham labor market. The interactive report will identify attainment goals aligned with key industry growth areas to mitigate the skills mismatch between local workforce supply and demand and enable progress towards achieving those goals. Coalition partners – the Community Foundation of Greater Birmingham, the United Way of Central Alabama, the University of Alabama at Birmingham, the Birmingham Business Alliance, and Central 6 Regional Workforce Council – are working with Burning Glass and the Center for Adult Education and Learning. “75,000 Degrees” is a community-wide collaborative designed to increase post-secondary attainment by bringing together the Mobile area’s K-12, higher education, business, and community partners. This collaboration will create a sense of urgency amongst all stakeholders to double the number of citizens with post-secondary degrees/credentials by the year 2030. Mobile is among 75 cities selected as a Lumina Foundation Community Partnership for Attainment. The 75,000 Degrees Blueprint was released on January 31, 2017.